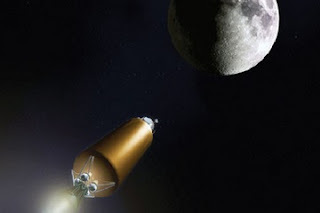 How is it great to send rocket to the moon? If you take all the energy to send a rocket to the moon and do not point the rocket in directs it will hit the moon then you just make big explosion. To hit the moon all elements must be factored including relativity. When you create emotional explosion, called drama, you want to intentionally create the spirit you want around you. For some this is intentional happiness, everyday they explode with happy , then they have little happy messes everywhere because it has no direction, no flow. This is transition from old you to new you, to do this you must be willing to let go of old beliefs and systems that do not fit. If you see this awareness, this rose in conscience then point your rocket at the moons paths. If your desire is so far away that you need help to get there, go ahead and point in that direction anyways. Knowing what you want is great, knowing what you don’t want it better. These together is called choices. With choices you have hope but choices is not enough, we must have faith that it is possible to send a rocket to the moon. Faith is fidelity to a promise.It is based on a decision. The difference between choice and decision is that we make a decision based on faith, fidelity while we make choices based on self, our human desires. A decision means we give up a choice, it is no longer an option. When we decide to get married we actually decide to give up a part of our selves. Then you need courage if decision is based on faith then we may not know the results so we have fear and courage only exist when fear is present . With new found courage we shoot for the moon and fail first time and we say why I give it all the energy I have? The truth is we need integrity, consistency in thought, deed, and our words. When these come together we have alignment. Like the rocket ship must be pointed at the stars to hot the moon because everything is in constant motion. Faith is a decision not a statement, to say we have faith and do the same thing is not faith it is hope because we give up nothing, none of this is possible unless we know our true selves. Here are the principle for swift and mighty change honesty, hope, faith, courage, and integrity, willingness and humility then start making matters right clearing out the path of your rocket ship of happiness to the moon of your choice. The end goal is awareness, service and conscience of greater power than self, tapping into that power being ONE. How about connect with more like minded individuals with lots of purpose and inspiration in life . Let’s send a rocket to the moon.CLICK HERE Click the link and join our global community positive minded people just like you.